The Releasing Potential Farm has its very own Beehive! Students can learn the importance of productivity and leadership (beautifully demonstrated by the Queen Bee) and understand the vital role that bees play in the ecosystem. The importance of the honey bee should not be underestimated, as they account for 80% of all pollination carried out by insects. During the summer months the Hive can be populated by over 20,000 bees, decreasing to around 3000 in the winter. Another benefit of beekeeping is the continuous supply of sweet honey. 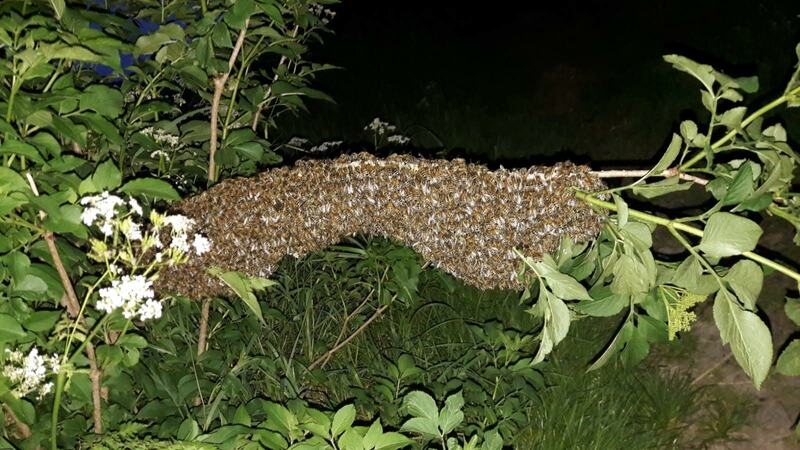 RP Forest School leader Mikey, was out jogging one Sunday evening in early May and came across this swarm hanging across a footpath. He phoned bee expert and RP tutor, Simon. The next morning, Simon dressed in his new bee suit, lit the smoker and approached. He carefully cut off the end of the branch and placed a cardboard box under it. Simon used the technique that is known to be most efficient. 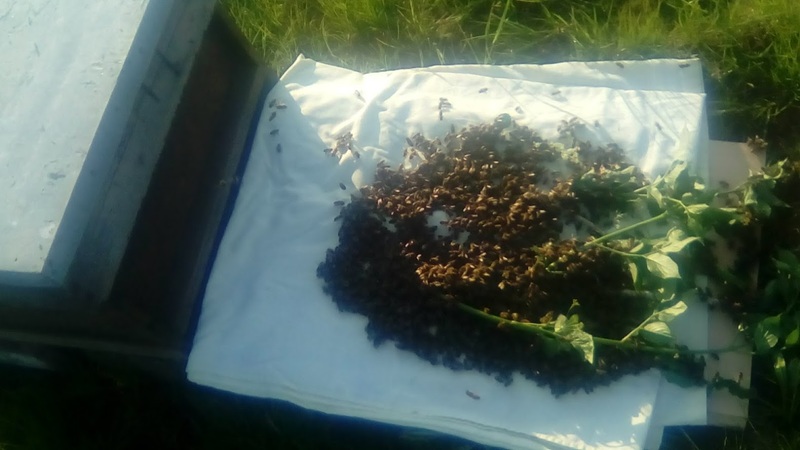 He shook the swarm onto a sheet in front of the hive and let them walk up and in. Unsurprisingly, they didn’t! If the Queen was in the small cluster on the branch then there would be no desire for the bees to go elsewhere. Simon had to improvise, he gently shook the remaining bees directly into the hive. Amazingly, the bees on the sheet instantly started marching in. We highly recommend that you watch the video, it really is amazing to watch. Releasing Potential are now officially beekeepers. The number of bees in the colony can rise to over 20000 in the summer, producing lots of honey for us to enjoy. The bees will also come in handy for our next project – watch this space!